Prophecies of the Pattern is a game like no other! Although there are many other MUDs out there, the PotP community stands out as one of the most welcoming and helpful to both new and experienced Mudders. The game began in the nineties after splitting off from another MUD. Back then, our community had a different name but nonetheless we have grown continuously since then and our commitment to our players has always been of the utmost importance. We have always made the MUD a safe haven from the outside world and provided a place for people of all ages to relax and have fun. Prophecies of the Pattern is a Wheel of Time themed MUD that features the world inspired by Robert Jordan and the game’s main story flows along with the adventures portayed in the series. Althought we don’t play the main characters due to the restictions it would impose on our players immaginations we still highlight their roles, adventures, and the changes they impose on the world. This allows us to creatively take the amazing world already created and add to it whatever our brains can conjure. We do our best to separate the IC (In Character) and OOC (Out Of Character) worlds. In general, the game is considered IC and it is not uncommon for players to be found role-playing. Therefore, if you join in, don’t be surprised if you quickly find yourself plunged into an amazing story! For those who wish to develop their character, our game offers many guilds that are immensely diverse. That being said, if you aren’t comfortable with role-playing or just like to hack and slash…we’ve got you covered. We provide extensive skills, remorts, blademaster forms, channeling and more. Whatever strikes your fancy, we’ve tried to accommodate. For thos interested in the Tech side of things, the game was originally built around a ROM base. The experienced mudder might still recognize some features of the original ROM that still remain (some things really are just that good). However, where applicable, we’ve updated, changed, added, revised and removed features…essentially creating a base of our own. Naturally, credit is due where it’s deserved, and in thanks for their initial contribution we still sport the ROM credits on our log-in screen. 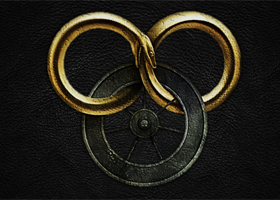 For more extensive information on the game features and theWheel of Time theme, take a look at the information page. We continuously try to add new and relevant information about the game and Wheel of Time theme. Interested? We invite you to log-in in and try us out. There is almost always a mortal staff member online that is an expert at the game and will be happy to help you find your way around. If by chance there isn’t one online, as mentioned above, all of the players on the game are generally friendly and willing to help if you ask.